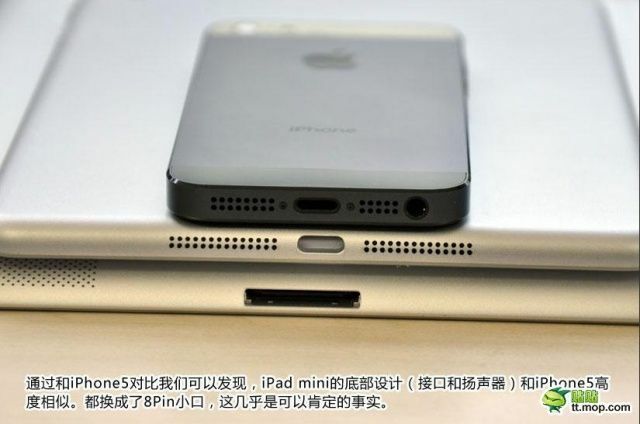 We learned this morning that the iPad Mini might be announced on October 17th after invites get sent to the press on October 10th. 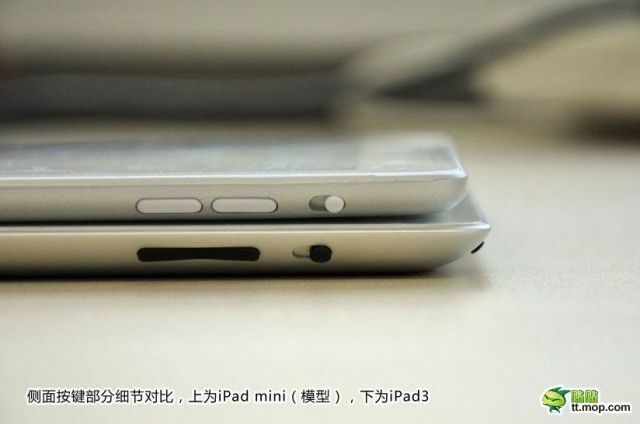 Everyone has a fairly good idea of what the iPad Mini will look like, but it can never hurt to see a few physical mock-ups for the sake of comparisson. 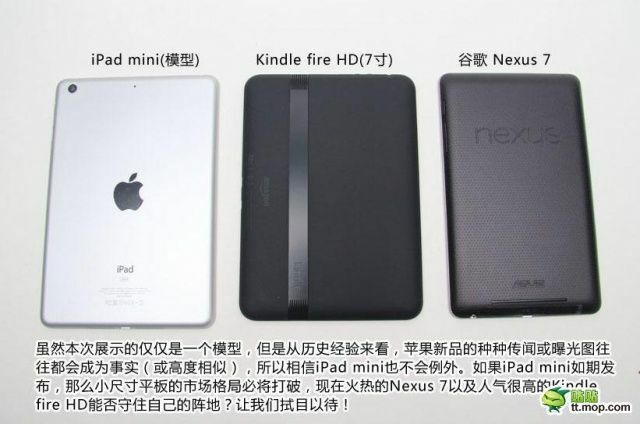 The latest mock-up photos to hit the Internet show what the iPad Mini will look like in comparison to the new Kindle Fire HD, Nexus 7, and the new iPad. 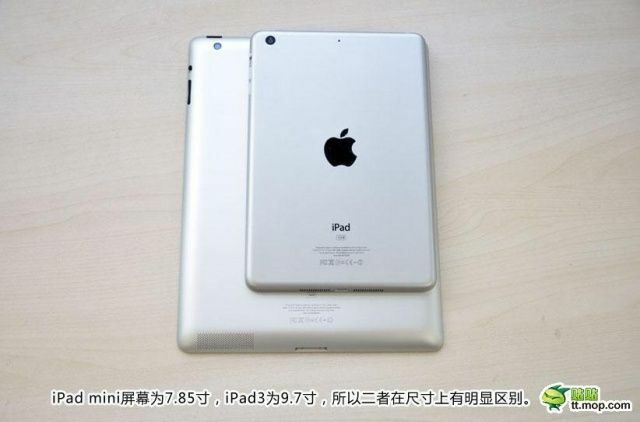 The iPad’s design is noticeably more blocky as it’s missing the tapered edges of the iPad. Check out the photos after the jump.